Horror is thriving around the world and is enjoyed by people from every country. Some of the best is produced outside of North America, so sometimes it’s necessary to take a little trip to find something fresh and fun. Join us on a trip across the map (from East to West) with 20 horror movies from 20 countries – there’s something for everyone here no matter what kind of fear you prefer to indulge in. Lola wants a prom date, and she’ll make you pay for turning her down. Not to be confused with the 1960s Australian band, The Loved Ones is a slice of torture in the desert. Lola’s daddy’s girl and he’ll do anything for her, up to and including participating in the torture of her beau-to-be and setting up a prom night just for the two of them at home. Buckle up for this one; it gets messy. 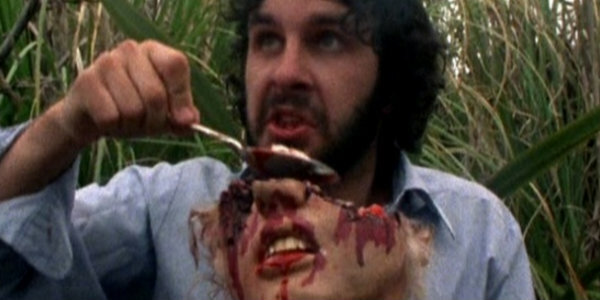 Oh, Peter Jackson. Before he made the big bucks and fame with Lord of the Rings, he was winning our hearts with industrious horror featuring endearing practical effects and bad one-liners. What if aliens came to earth to harvest humans for fast food meat? (No, I’m not talking about Under The Skin.) This is like if a super-talented friend decided to make his own horror movie and it was charming and funny and everyone loved it. Bad Taste is a great film for groups when you have stacks of pizza and time to laugh. This one is on everyone’s list and for good reason. If you can power through an extremely long exposition you’ll be rewarded with gut-churning fear and gore. On the surface, it appears to be almost a romantic drama. Shigeharu Aoyama loses his wife and, seven years later, is encouraged by his son to remarry. Unsure how to re-enter the dating game, he holds an audition for his future wife, but she may not be who she seems. After one viewing, “Kiri kiri kiiiri!” will haunt you forever. Korean horror is often known for having a fairy-tale quality. A Tale of Two Sisters is one of many adaptations of ancient dynasty folklore using this technique beautifully with haunting imagery and emotive performances. Two sisters return from a stay at a psychiatric hospital and deal with the aftermath of loss and grief in their family. As the highest-grossing Korean horror movie in America, you won’t be disappointed. Enjoy the horrifying family drama while you learn what really happened and where the evil might be coming from. Besides being a delicious treat in China, Dumplings is also a formidable horror movie based on a short film featured in Three…Extremes. See how far women will go for beauty when they demand Aunt Mei’s famously expensive dumplings. How do they work, and what’s in them? She’ll tell you right away, but I can’t promise you’ll be able to stomach it or how it’s harvested. Dumplings is all at once lighthearted and dark, and just a little tongue-in-cheek. Stalker is here for fans of the podcast Tanis, and for those who love exhausting conversations about life, reality, and philosophy. This soviet sci-fi/psychological film revolves around the discovery and journey to a mysterious place referred to as “The Zone” — a place where all your deepest desires can be fulfilled and there are no rules. Tarkovsky gives a stark look at the desperation of mankind and the consequences of chasing our unconscious desires without thought, but he takes a long time to get the point across. As one of only seven Turkish releases in North America, Baskin has me thinking Turkey is into all kinds of crazy horror — that excellent bone-chilling, mind-blowing crazy. If you like a good grimy horror flick then look no further. Gory, gross, and at times ridiculous, Baskin will satiate your appetite for flesh. Join a group of foolhardy cops as they stumble into the gates of hell in an abandoned building. Impressive cinematography and performances make up for somewhat of a lack of concrete ideas and plot. Watch this one with a group for a great time. 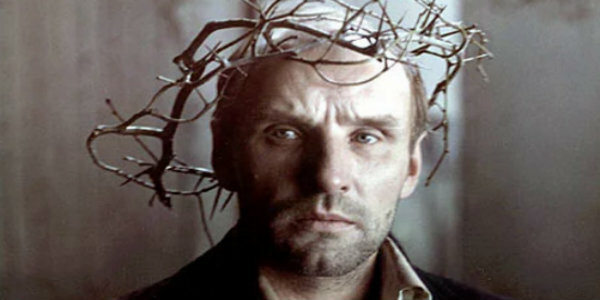 Nunsploitation is a sub-genre close to my heart and this early ’60s Polish flick is a shining example. Charged with checking in on a convent rumored to be under the spell of demonic possession, a priest faces possessed nuns with religious fervor. Lucyna Winnicka’s performance as Mother Superior is bold and striking, worth a bit of a slow trip through the film. History buffs will appreciate its parallels from the story of Loudun, a town with a real convent that fell under mass hysteria in 17th century France. Fans looking for some excitement might be disappointed by this quieter think-piece, but it is stunning. In When Animals Dream, a lonely young girl lives with her ailing mother and misunderstanding father when she starts to experience changes in her own health and appearance. If you’re shy of the werewolf genre, give this one a go for a smart and clean take on an old classic. It’s dark, grey, and haunting. Love it or hate it, Goodnight Mommy packed a punch when it hit the big screen in 2014. This Austrian film wormed its way into my heart deep enough that I forgave its shortcomings and heartily recommend it. Mommy’s been out for some work on her face, but when she returns who is behind the bandages, and what will her twin boys do to find out? Check out the full review for a balanced approach, as this one is a bit of a trickster when it comes to plot. Maybe it’s an overwhelming fear of environmental destruction, but the German apocalyptic thriller Hell really got to me. Imagine a world where there’s no water — it’s not so hard, is it? If the sun was so hot you couldn’t expose your skin to it, and nothing could grow, what could people be forced to do? Join Marie and her crew as they search desperately for a rumour of water and encounter those who will do anything to stop them and get there first. 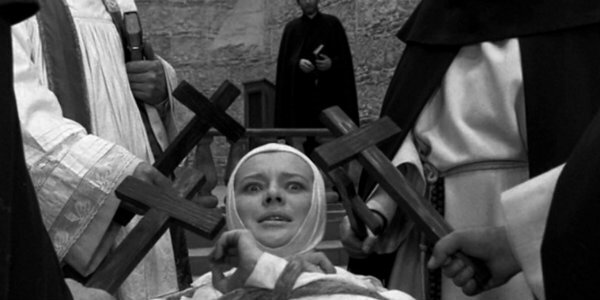 Italy has a wealth of celebrated and incredible horror. It’s hard to choose one film to highlight above others, but Zombie won my heart when I first saw it on 35mm. 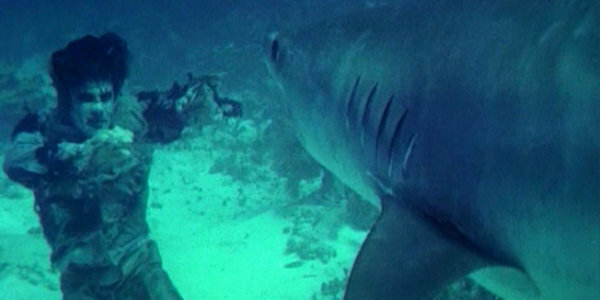 It has everything I want from that time period: trashy editing, fantastic practical effects, seemingly random plot lines that end nowhere, and an incredible fight between a zombie and a shark. Plus, it has one of my favourite soundtracks of all time. 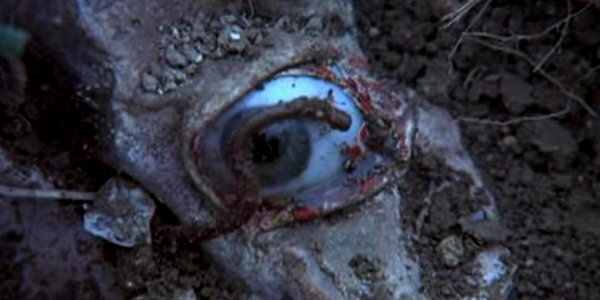 Fulci’s Zombie is a must-see for any horror fan and I promise you won’t be disappointed when you see that eyeball scene. This is one of those movies you can watch at any time and enjoy as we watch a young girl searching for her lost father in the tropics where the locals are suffering a “mysterious” illness. 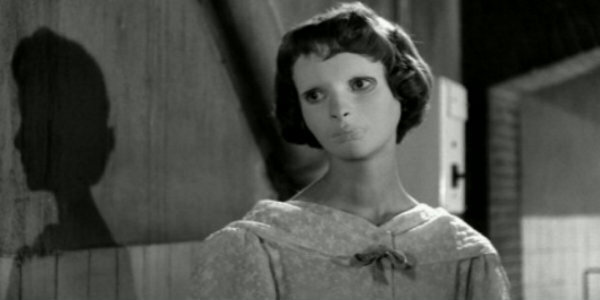 Rather than going the French extremist route, let’s take a look at the stunning Eyes Without a Face. After his daughter suffers a disfiguring accident, a mad surgeon devotes his practice to perfecting a facial transplant by kidnapping women and . . . cutting off their faces. If you consider the fact that the world’s first successful(?) facial transplant happened in 2005, you can imagine that the surgical procedure was far from perfected in the time period. Even for its age, those transplant scenes will have you on edge. If you can get past some questionable CGI in the final third of the film, you’ll love Witching and Bitching. Starting at a frenetic pace that it never gives up, it follows a group of jewelry thieves who unwittingly become entangled in a coven. There’s even some father/daughter drama to raise the stakes. You’ll smile ear-to-ear through this one if you love witches. This horror comedy is a blast. Monster movies usually aren’t my bag, but Grabbers makes the list. Tentacled aliens are running amok in Ireland and killing everyone. That is, everyone who is sober. In order to survive, everyone has to be intoxicated. One hilarious scene was filmed with all the actors actually drunk and as we all know, truth is stranger than fiction. Ireland makes a lot of solid films for those who love their horror comedy with a good stiff drink. Melodrama! Tuck in for a hearty laugh at this slice of UK folk horror. Everyone is overreacting to everything in 18th century England, whether it’s the young lovers separated by class or the children under command of the hairy beast via devil worship. If you’re a fan of religious hysteria and bad practical effects, take this one for a spin. Or, give The Wickerman another watch for a little sing-a-long. If you find children inherently terrifying, this is the film for you. Here Comes The Devil is a simmering, brooding tale of a family on vacation in Tijuana. When the parents’ indiscretion leads to the disappearance of their children, their lives are in turmoil. This becomes even more true when the children reappear from the nearby caves, seemingly not themselves. What happened to the children, and what will happen to their parents? This one took more than one viewing to fully appreciate it, so give it a chance. Let me cheat again and throw both an original and reboot at you. 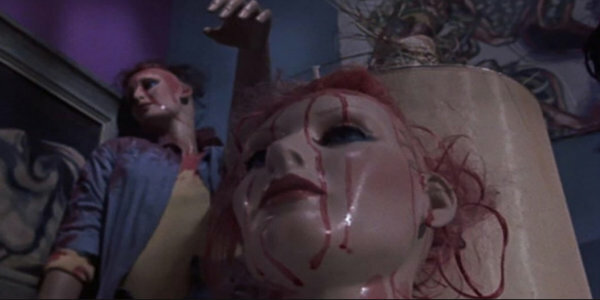 The original Maniac is one of the best ‘80s slashers that never got the credit it deserves. Joe Spinell plays the perfect greasy, mouth-breathing killer you’ll love to hate. Watch this psychopath dealing with the remnants of childhood trauma kill women and take their scalps as trophies. Then, watch the impressive reboot with the likeable Elijah Wood filmed entirely through the killer’s point of view. Watch them back-to-back, if you dare! Despite the title, American Mary is really a Canadian film. It also boasts some of Canada’s best talent including the Soska Sisters, Katharine Isabelle, and Tristan Risk. Meet Mary, a talented student learning to be a surgeon who takes vigilante justice to the next level after a sexual assault. If you’re into extreme body modification and badass girls getting even, get on board. Right now. This is a great ride for your girls night out and a fantastic slice of Canadian horror. It took literally all my strength to not talk about King Cronenberg’s movies here, so let me just mention him at the very least as a great influencer on the Soska’s films.